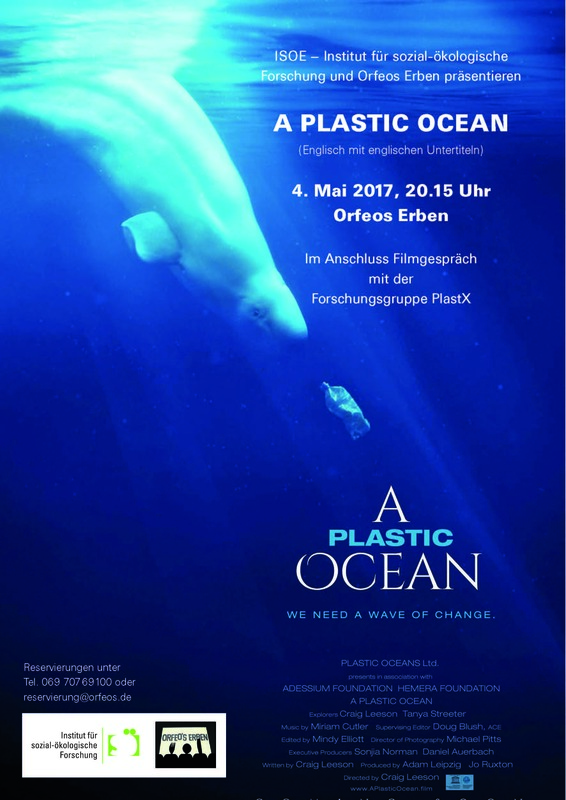 A Plastic Ocean is one of the latest documentaries on the plastic pollution in the environment. PlastX in collaboration with the Orfeos Erben Cinema is screening the movie and discussing it afterwards. Join us on Thursday 4th of May, 8:15pm at Orfeos Erben Cinema in Frankfurt. Thursday 4th of May, 8:15 p.m.